An ancient and powerful relic is accidentally dropped down the Well of Dreams. While trying to retrieve the relic, the young King Arthur falls into the well and time travels to the 21st century. Arthur is desperate to return back to his time but, when he learns about his fate, he is hesitant to return back to his time. Sophie and Stu with the help of Merlin find themselves racing against the clock to bring back the pint-sized hero. While Stu is pretending to be Arthur, Sophie travels back to her time to retrieve Arthur. Utilizing their gaming experience, will Stu and Sophie be able to save the correct timeline? I found the book to be a fun and enjoyable read. I liked how the author combined elements of gaming and fantasy. I thought the "pattern/cheat code" to release the sword from the stone to be quite funny. I remember having to do button combos like that to unlock special Easter eggs. 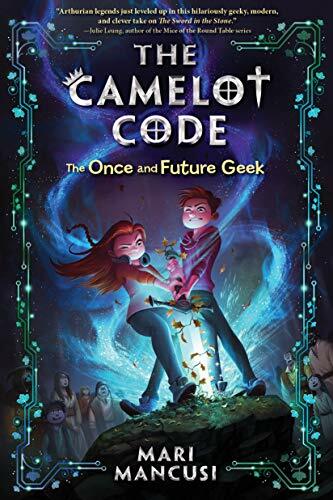 The novel was a fun light-hearted read about young Arthur in a geeky way. For updates on all Mari's books, subscribe to her newsletter. Jason Wilder is in permanent in-school suspension for fighting. Meili Wen gets there by breaking a girl’s finger. Jason and Meili don’t just connect; they collide. Two people who would never cross paths―outsiders from radically different backgrounds―they form an exhiliarating, unpredictable bond. When circumstances push, they push back. There’s no plan. And there’s no stopping. I am a writer and choreographer in Philadelphia. I am interested in messy, complex humans colliding with rigid systems. I am interested in how unequal everything is, and the stories we tell ourselves about that. I am interested in the stories men tell ourselves about everything. I am interested in what bodies know that brains don't. I think pretty is the enemy of beautiful. 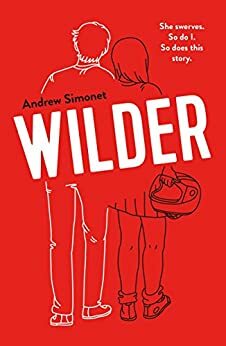 My debut young adult novel, Wilder, will be published by Farrar, Straus, and Giroux in November 2018. I am currently writing a sequel. I was a founding Co-Director of Philadelphia's Headlong Dance Theater from 1993-2013. We made raucous performance works. I am an activist and organizer for artists having sustainable lives. I founded Artists U (programs in Philadelphia, Baltimore, and South Carolina) and wrote Making Your Life as an Artist. Career stuff: my creative work has been supported by the Creative Capital Foundation, The NEA, The Rockefeller Foundation, The Pew Charitable Trusts, The New England Foundation for the Arts, Yaddo, and Ucross. I received a Pew Fellowship in the Arts, an Independence Fellowship in the Arts, and a Bessie for Choreography at the New York Dance and Performance Awards. 3 Winners will receive a finished copy of WILDER, US Only.